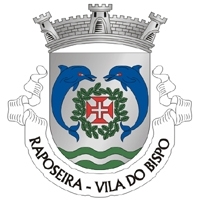 Raposeira is a parish (freguesia) in the municipality (concelho) of Vila do Bispo. The hamlet is situated on the border of the nature reserve Parque Natural do Sudoeste Alentejano e Costa Vicentina. Raposeira is rumoured to be one of the place where Henry the Navigator stayed in the 15th Century. However, there is no hard evidence to support this. Historically, the only known fact is that he attended the Holy Mass in the neighbouring chapel Ermida da Nossa Senhora de Guadalupe. This chapel founded in the 13th Century by the Knights Templar is one of the few buildings that survived the catastrophic earth quake of 1755 without any damage. A small museum dedicated to the Age of the Portuguese Discoveries during the time of Henry the Navigator adjoins the chapel. The Menhir de Aspadrantes which is over two meters high bears impressive witness to the existence of pre-historic human occupation in this area. The nearest beaches on the southern coast are Praia do Zavial and Praia da Ingrina that can be accessed from Raposeira by the country road M1257.